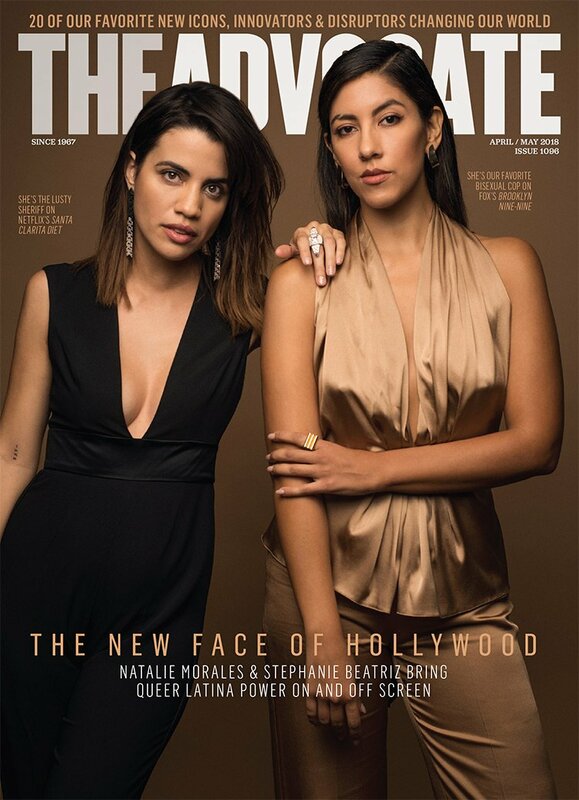 A quieter week for “Out of the Box,” but a very good one for magazine content including gasp worthy covers and a reunion that warmed my soul. It was exactly what I needed to see on Wednesday when I was knee deep in work. So, thank you for that. There are also ladysuits, animal print, kitties and some very good costume design. This is from last week at a FYC event (Emmy season is coming! 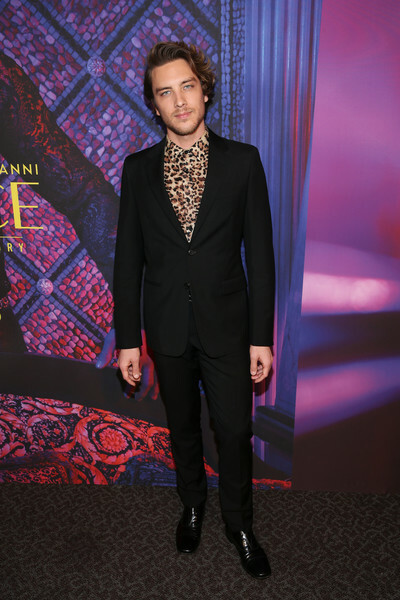 ), but I missed it and I can’t not include Cody Fern demonstrating that leopard print makes for a perfect button-down shirt choice. 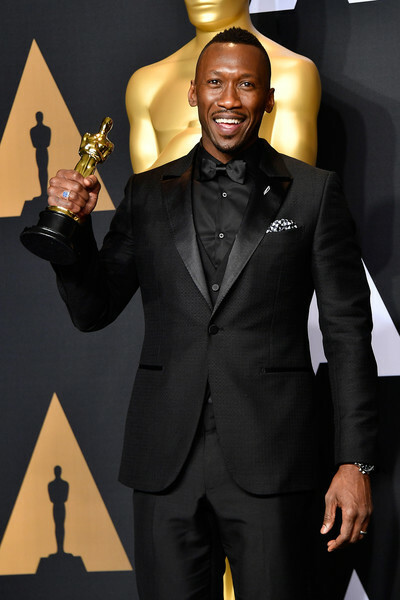 This is how you add sartorial flair to a black suit. Fern plays David Madson on American Crime Story: The Assassination of Gianni Versace and was a revelation. Here he looks nothing like his ACS character; the hair wave he is serving up is fantastic. 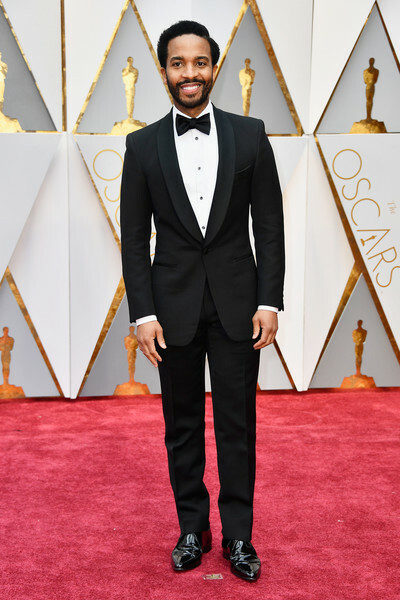 Sound the ladysuit klaxon! 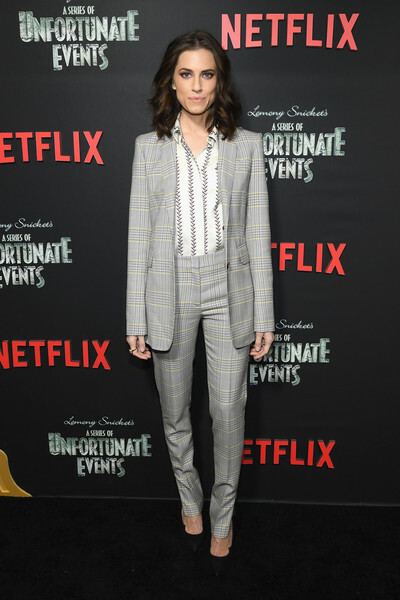 At the A Series of Unfortunate Events season two premiere, Allison Williams gives great menswear in Gabriela Hearst. Timeless continues to be the most fun and delightful show that also has me wanting to know more about the historical events they cover. This cast also continues to be the most fun and delightful as evidenced on Abigail Spencer’s Instagram. The most recent episode, “Hollywoodland” paid homage to Queen Hedy Lamarr and also featured some stunning ’40s costumes. And the Timeless lipstick game is so strong right now. This Gucci jumpsuit has recently graced these pages, but it is definitely worth a second look on Holly Taylor. This is from Anna Silman’s profile of Taylor for The Cut and Silman is one of my favorite interviewers at the moment . In the piece they talk about Taylor’s background growing up in this industry and what she plans on doing next. And for all things Americans season six as Paige falls further into the spy biz here is my review of the amazing premiere and my interview with costume designer Katie Irish. 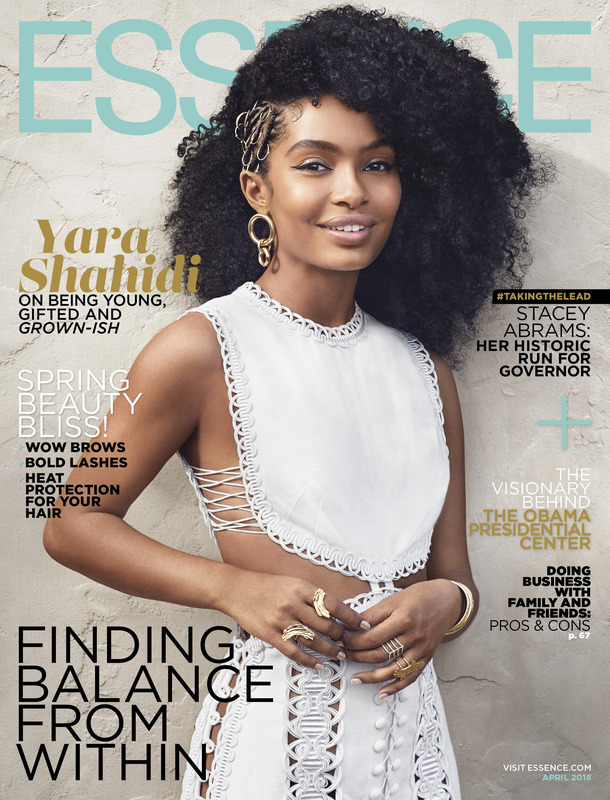 Grown-ish star and TV Ate My Wardrobe fave gives great cover on Essence. And for Grown-ish style tips, here is where you find a lot of the costumes; this is a show that mixes aspirational and affordable. This made me gasp in the best way. It has been a very good week for Christina Aguilera including this Drag Race moment. Paper continues to do very interesting things and this is beautiful (song title ref intended). 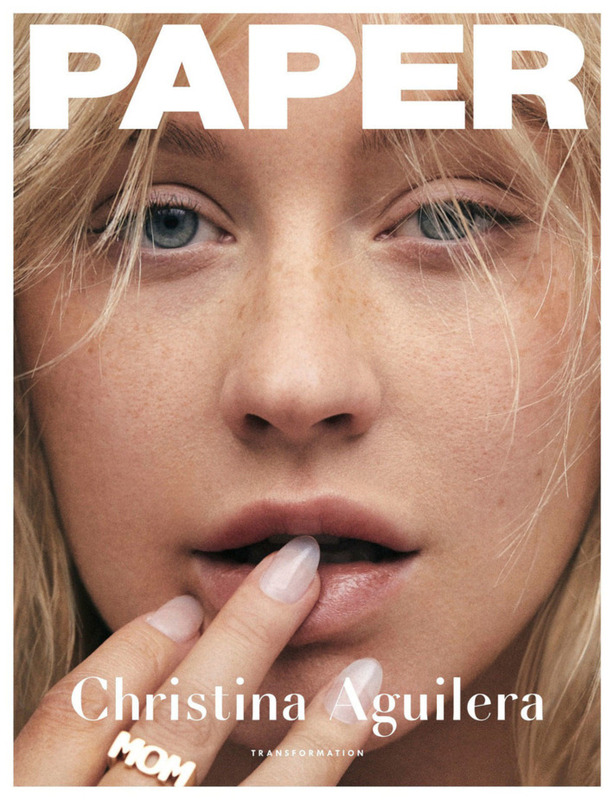 But this isn’t an indictment on makeup because as Aguilera mentions in the interview “I mean, I’m a girl that likes a beat face, let’s not get it twisted.” We can do both. 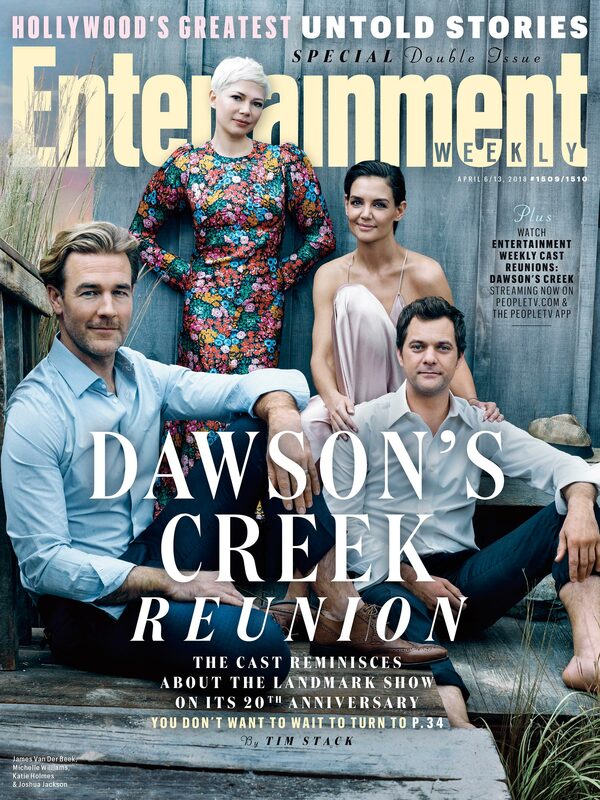 Entertainment Weekly excels when it comes to WB reunions—first Felicity, then Buffy—and this Dawson’s Creek issue hits all those sweet nostalgia spots. It is always heartening when a cast comes back to celebrate the show that made them famous and they do this in spades. There is a 55-minute reunion show which delivers on the feeeeeeelings and fun including Michelle Williams seeing the Crying Dawson meme for the first time. 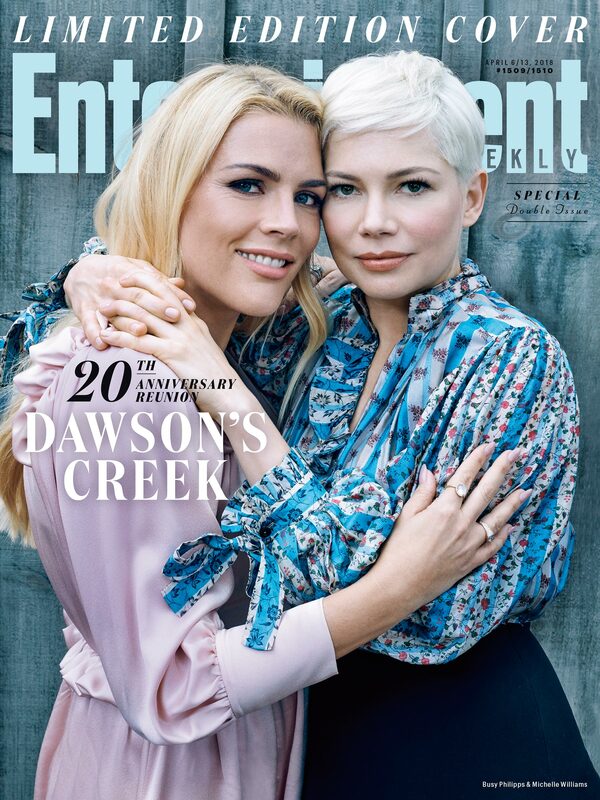 I yelled with joy about this on Twitter because there is nothing better than Michelle Williams opting for a cover with Busy Philipps over a solo shot. As Joanna Robinson put it “Let’s all enjoy the fact that Michelle Williams clearly has a Busy rider.” Yes this is now my lock screen image. Yes I am extra when it comes to this friendship. A little background on my place in Bachelor Nation; I have watched one full season of The Bachelorette (Ali Fedotowsky, 2010), I have seen Burning Love, UnREAL and many clips on The Soup. I am not against watching reality TV and if I watch the first episode of a season that is me in for the long haul. I have not seen any first episodes of The Bachelor, which might explain why I have never committed to this show. Reality TV that encourages a big weekly group watch (see all those years of Bake Off) is always welcome. But spending as much time as I do on culture/entertainment sites, as well as the other TV I watch and the podcasts I listen to, means there are many aspects of this series I am aware of. 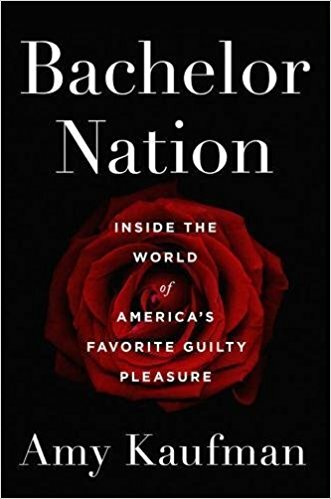 So when I was offered the chance to read L.A. Times writer, Amy Kaufman’s new book on the franchise, “Bachelor Nation: Inside the World of America’s Favorite Guilty Pleasure” I jumped at the chance. Kaufman is someone I have followed on Twitter for a long time and her feed is part of the reason why I know about big Bachelor stories when they break, such as the Bachelor in Paradise consent scandal from last year (this is included in the book if you’re wondering how up to date it is). And you don’t have to be a Bachelor super fan to get a lot from “Bachelor Nation.” Having some of that background knowledge might add something extra, but Kaufman does an excellent job of explaining the ins and outs of this world to a reader who doesn’t know much beyond “Will you accept this rose?” It is part TV history exploring the dating game origins as well as how The Bachelor franchise came to be, the application process, tracking its success, scandalous moments and life after the ‘bach for some contestants. Kaufman explains her own relationship to the show including how she went from the inner reporting circle to being persona non grata; exposing the way networks court journalists before banishing them. The personal aspects Kaufman includes add wit; this isn’t just a dry retelling of dating show narratives. And there are also testimonies from famous viewers including Melanie Lynskey, Spencer Pratt, Allison Williams, Diablo Cody, Amy Schumer and Paul Scheer, as they explain why they are drawn to this franchise. 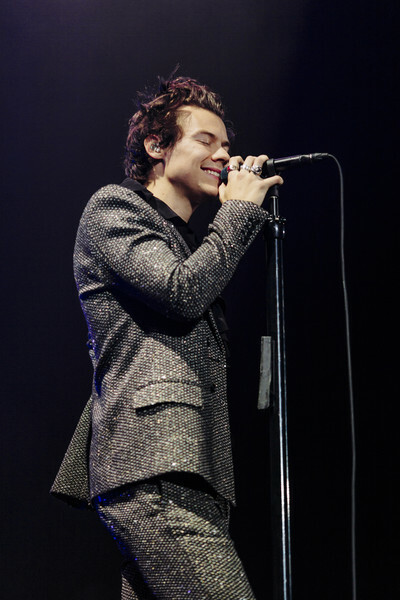 There is an examination throughout from some of the celebrities and Kaufman about what it means to be a feminist and a member of Bachelor Nation. A question that doesn’t come with an easy answer. Also part of me now wants to taste the Bachelor line of wines even if it is terrible. I am very drawn to puns. “Bachelor Nation: Inside the World of America’s Favorite Guilty Pleasure” is available Tuesday, March 6. I will accept this rose and highly recommend this deep dive into this reality show juggernaut. As I have been away for a couple of weeks some of these Instagram highlights are from during that time period. Now for some behind the scenes of how I choose which pictures I include; while I’m scrolling through I’ll screengrab the ones that catch my eye and because I wasn’t on the internet all that much while on honeymoon/during wedding prep this will be a lighter week, but a fun collection nonetheless featuring a lot of my favorite shows/people. Next time everything will be back to regular transmission. Our first proper night in New York was spent in the company of Gil and George (charmed, I’m sure) and as a huge fan of the “too much tuna” sketch on Kroll Show this stage production was everything I hoped it would be and more. Funny and so dark in places, that I was equal parts laughing and picking my jaw up off the floor. This fun photo collage of the evolution of this sketch is also a delight. Blowing the lid off: Finally, the proof that @tatianamaslany is in actual fact a clone. 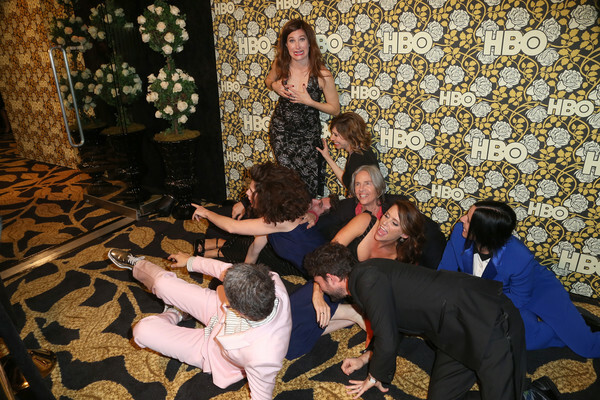 There is still time for some 2016 Emmy coverage and this photo Tom Cullen posted of Tatiana Maslany links nicely into Orphan Black and my desire to get drinks and go dancing with them. Speaking of Orphan Black and they are back on set for the fifth and final season. Helena is coming to play and this always makes me very happy. Also it just occurred to me that a lot of shows I hold close to my heart are getting the chance to wrap up on their own terms (see also The Americans, Halt and Catch Fire and The Leftovers). Sure, it is a bummer they will be over soon(ish), but also such a relief they will get a proper ending to their story. Also on this list is Game of Thrones (although it was never in doubt that they would get to choose their end date unlike some of those shows listed above) and this is very fun flashback to 2015 from Carice van Houten. Two more seasons of The Americans (*sob*) and day one of season five already has me excited for the skirt/boot combination Keri Russell is wearing (even in this is an out of focus shot). 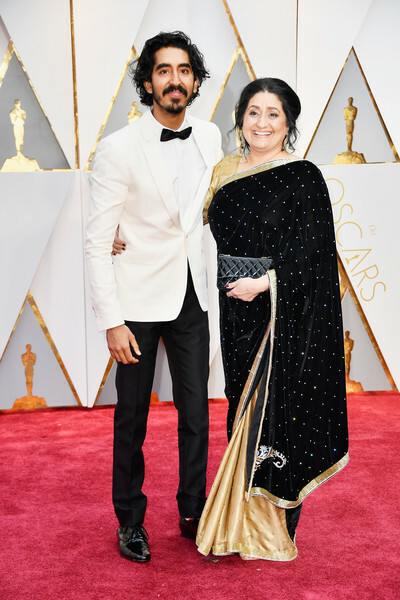 To the woman who creates these Americans costumes surrounded by her work and this photo of costume designer Katie Irish is a stunner. And to a show that is over, but not in our hearts or January Jones’ Insta and these costume shots from Janie Bryant are always a welcome sight. Now for a closer look at the hair, makeup and costuming Shantel VanSanten wore on the Timeless premiere – a show that is tremendous amounts of fun from both a story and costume perspective – and I love the detail in her description here. Also so much lipstick coveting. #fbf #fanart thank you @mayluize for representing so many of my favorite characters #agentsofshield #greysanatomy #entourage #houseofcards #unrealtv #newsroom #goodmorningmiami #bostonlegal !! Constance Zimmer shared a piece of fan art that celebrates the many characters she has played on TV and it is wonderful. A couple of style highlights include Lupita Nyong’o on the Queen of Katwe press tour crushing it all over the place. I got this vest in 4th grade. This shirt was my mom's even before I was born. Perfect cross country road trip outfit? Yes of course it is. Followed by Jenny Slate going full vintage in this fabulous casual look. Ending things this week with a couple of very important things from the Broad City Instagram including the best dog ever (Tom Hiddleston you look okay too). Keri Russell's Jennifer disguise in The Americans got us feelin some type of way YOWWWW ! As a Top 5 Americans disguise it feels right to finish this first “Behind the Insta-Scenes” post after being away with this joyous moment. Abbi and Ilana, I’m sure would agree. A red carpet heavy week with pre-Globes, other awards, the main event, after parties and TCA with some people pretty much attending all of these. We’re going to concentrate on mostly TCA and after party sartorial delights with a dash of the Marie Claire Image Makers celebration. 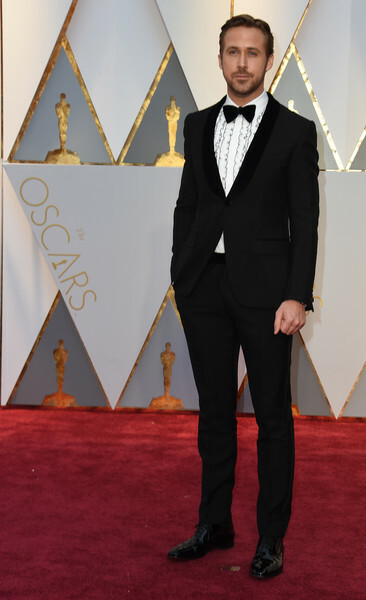 Rami Malek takes the crown for best dressed dude this week slaying in everything from his button upped style to looking super sharp in Dior Homme at the Golden Globes. Stylist Ilaria Urbinati is one of my favorites especially when it comes to menswear and she gave a rundown of the getting ready process for GQ, which includes Rami in a very lovely striped sweater. At the Mr Robot TCA panel he shows that he can also do the suit with tie thing in Calvin Klein rounding off this excellent week. Mr Robot is also killing it in the lady style stakes and Carly Chaikin’s AFI floral number was another high point of this very busy period (see also Portia Doubleday’s Golden Globes disco ball frock). Chaikin’s got another winner here in polka dot Jill Stuart and this is when a little bit of sheer totally works. In surprising good news from the USA Network panel it was announced yesterday that Playing House has been renewed for a third season and I’m so happy about this as I really need more of this wonderful show. Bold block colors were on trend at the Golden Globes and creators/stars Jessica St. Clair and Lennon Parham both look fabulous in this style choice. A classic floral frock for Juliette Lewis at the Disney/ABC TCA day and a very muted prelude to the cracked out brilliance of what she would be wearing later that day. Ultimate Kristen Stewart red carpet attire at the first annual Marie Claire Image Makers event and everything about this from the coat to the metallic detail on her Sally LaPointe is perfect. Stewart was there to honor makeup artist Jillian Dempsey and her hair stylist Adir Abergel was also getting recognized. 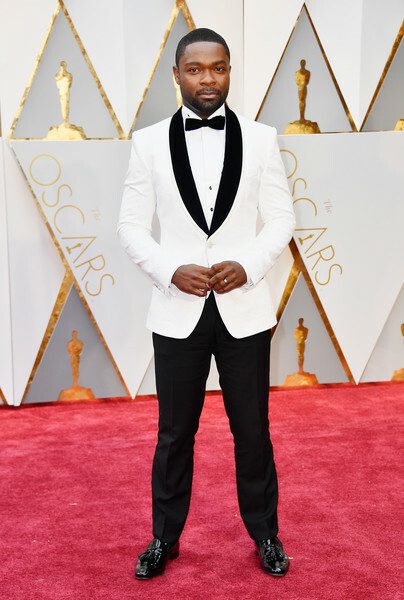 The length is awkward, but this color looks amazing on How to Get Away with Murder’s Aja Naomi King. Plus it has pockets! I know I’ve already written about Maggie Gyllenhaal’s art deco looking Marc Jacobs dress (which I still adore), but I couldn’t resist this Honourable Woman reunion with Tobias Menzies at the HBO Golden Globes after party. 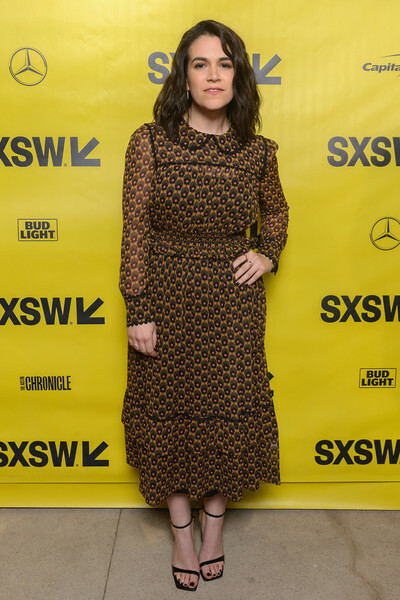 So here for the size of Gaby Hoffmann’s hair – Ali’s hair on Transparent in season 2 reaches new heights of everything – her dress, which at first I thought might be a jumpsuit and Carrie Brownstein’s oh so amazing patterned frock/general super cool vibe. Amazon Head of Comedy Joe Lewis looks rather pleased and swish at the Amazon Golden Globes celebration and I’m guessing that has a little something to do with the Mozart in the Jungle double win. Oh HBO, your backdrop is like the wallpaper I wish I had, but would immediately regret and it very much works with Laverne Cox switching one incredible white gown for another in custom Mark Zunino; adding her to the list of caped wonders. And this is where the choice of posing wall pattern makes it feel like you are looking at a Magic Eye picture and therefore giving me a rage induced headache because I could never see the sailboat or whatever. I do like Kathryn Hahn’s dress despite the optical obstacle. Ending on Transparent chaos and another angle of this shot. Kathryn Hahn’s pose/face is everything. 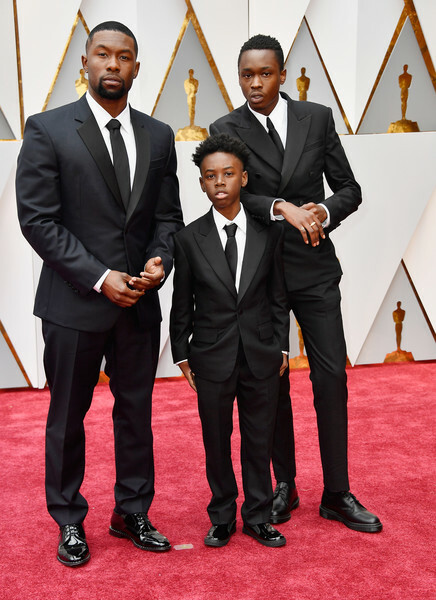 This looks like the later hours at a wedding. Kerry Washington wants you to know that “You can be fabulous and fearless” and now you can look the Olivia Pope part in The Limited Scandal inspired collection. 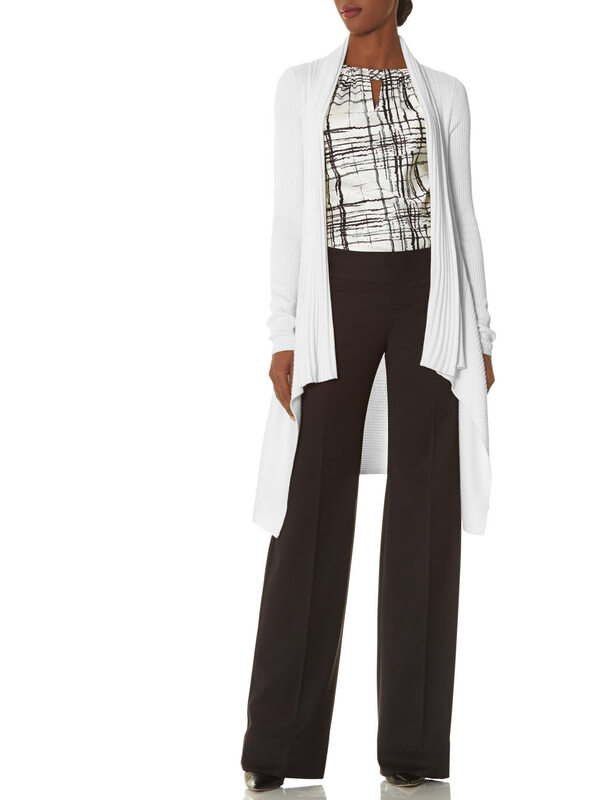 Kerry Washington and Scandal costume designer Lyn Paolo worked with the The Limited’s VP of Design, Elliot Staples to produce an array of pieces reflecting the style of Olivia Pope. This means there is a lot of neutral colors and tailored silhouettes that exude style, femininity and power. The costume design on Scandal is one of the most talked about aspects of this show (we’re pretty much obsessed with all things Olivia Pope here at TV Ate My Wardrobe) and this collection includes pretty much everything we would want from a Scandal inspired line. 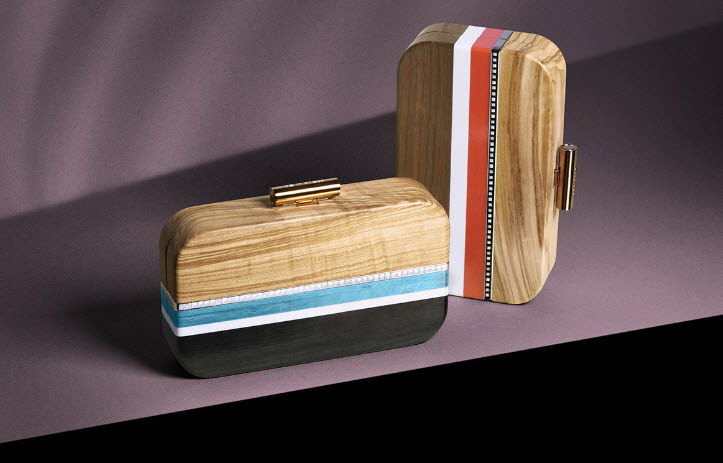 Plus the prices aren’t nearly as crazy as the designer labels Olivia usually wears ranging from $49.95 to $248. The only thing that is missing is the ability to not spill red wine or get popcorn grease all over the clothes. Yes I am a serial spiller. Especially when it is either something new or on the lighter end of the clothing scale. Some of the clothes will feature in the new season (which starts this Thursday, September 25); how about a game of spot The Limited among the Prada and the Armani? So whether you want to boost your office wear, coat collection or Scandal watching attire there is something for you and here are our top 5 picks. 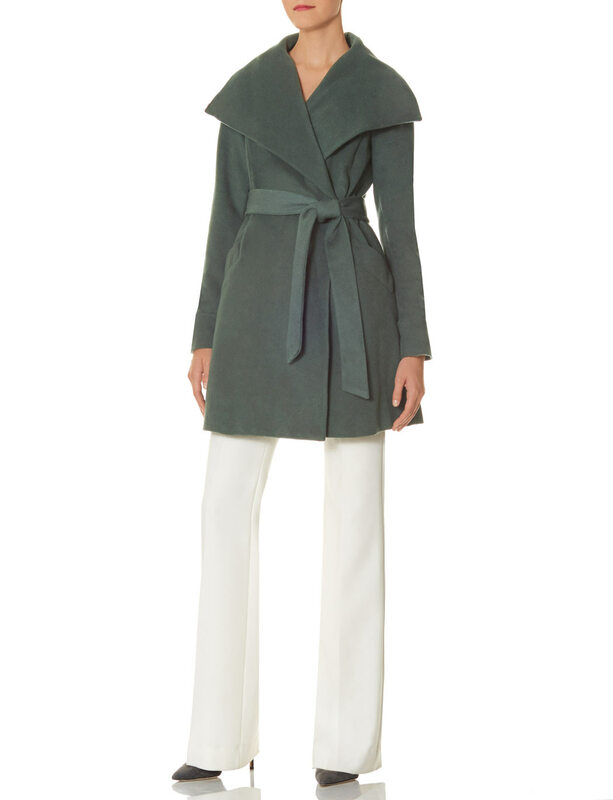 Olivia has the best collection of outerwear on TV and draped/belted coats are a staple. This one is available in either sage green or soft pink. I’m meant to be on a coat buying ban, but I might have to break my own rules for this beauty. 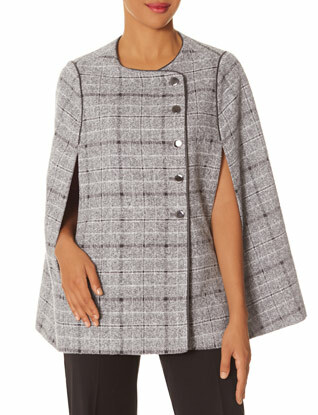 Capes are on trend this season and another Olivia signature item; just because Olivia wears mostly neutrals it doesn’t mean there isn’t room for tweed. You can get this version in both grey and khaki. I love the charcoal grey cape I got a few years ago (I broke my wrist in the winter and I needed a coat to go over my cast), but there’s no rules saying you can’t have more than one. A cape also gives you a most excellent shadow (I am easily amused). Wine cardigan! Everyone needs one and The Limited knows this. Yes it is off white but hopefully you have better hand-eye coordination than I do. Olivia only wears pants to work and there are a variety of styles and colors on offer. 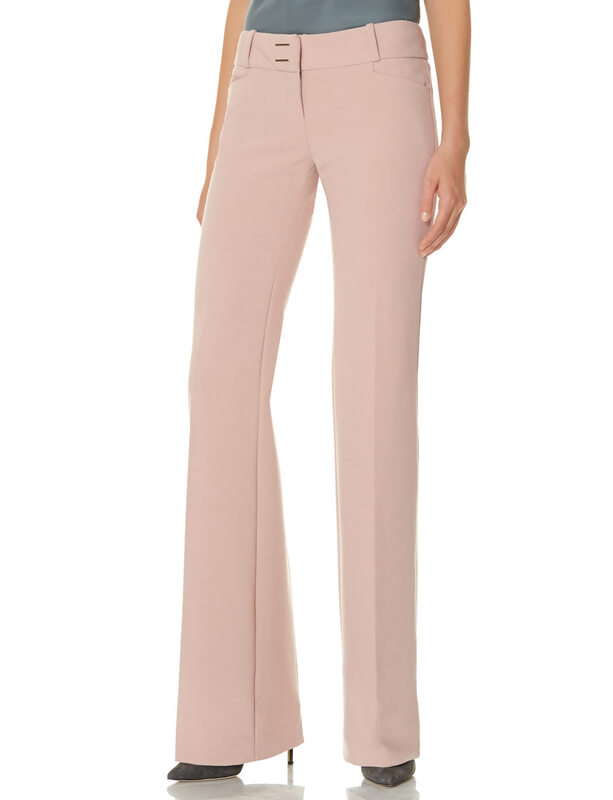 I’ve picked out a couple of pairs starting with the ‘Liv Flare‘ in light pink (also available in off white) and for office wear the more flared the better (this is why I love Abby’s palazzo pants so much). 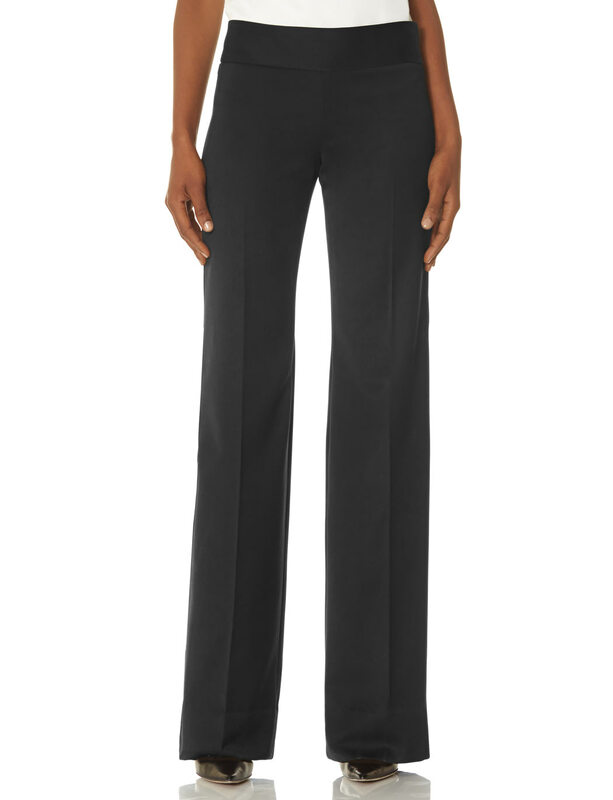 A pair of black wide leg pants are a wardrobe staple and an easy way to look super chic and smart at work or even on a night out. Browse the whole collection head here and be sure to check out all our Scandal costuming analysis starting with the season 4 promo photos. August has been a relatively quiet month with most of the red carpet action coming from film projects filmed while on hiatus. Get ready for an influx of dresses as the Emmys are on Monday and the parties have already begun. Below are the best looks from the BAFTA Los Angeles TV Tea 2014 and Variety and Women in Film Emmy Nomination Celebration. With several pulling double duty at both events a couple of faces pop up twice. On trend is a mixture of all-black ensembles and super colorful affairs (with some showcasing both thanks to the two events). There are a lot of bad shoe choices and somehow three jumpsuits make the list (insert Home Alone cat face here). Kerry Washington has been hitting style highs recently and this is another to add to that list. Going short in Michael Kors and fresh faced before the fancy frock night is understandable. This is striking in its simplicity and there’s a slight hint of sparkle when the flash hits the embellishments. Another short take and the pre-Emmy parties are all about having fun before the big event and Orange is the New Black’s Samira Wiley is doing just this in a blurred effect number. Julianna Margulies is always one of my most anticipated on the red carpet come award season and while she is playing it pretty safe; it is also a classic J-Marg look. Digging the bold lipstick too. Michelle Dockery’s peplum Elie Saab black jumpsuit is also in the simple chic category at the Variety party. However, earlier in the day Dockery has done the color splurge in a Roland Mouret crop top and skirt. The Teen Choice Awards don’t have the monopoly on crop tops (there is another coming up) and even though the skirt looks like a fancy table cloth Dockery pulls this off. Despite the matchy matchy shoe/skirt of it all these Christian Louboutin pumps are a footwear highlight. If Kiernan Shipka’s Instagram is anything to go by these teen stars are set to takeover the world while having brunch and here she is once again with Sleepy Hollow’s Amandla Stenberg. Both manage to look super cute and slightly edgy at the same time in their dark attire. Kiernan Shipka also attended the BAFTA Tea in a summery Giambattista Valli cocktail dress and she will be one to look out for tomorrow as she continues to hit all the right sartorial notes. Downton Abbey’s Joanne Froggat does color blocking in Altuzarra mixing bold red and orange with grey. Black sandals are a popular choice on both red carpets (not in the bad shoe category) and it is still summer after all. At first I thought this was a dress, instead it is a Christian Dior jumpsuit with one leg much wider than the other and Ashley Madekwe pulls off Dior’s latest attempt to wrinkle our brains (remember JLaw’s half skirt/pants number?!). One reason this works is because it’s all one color and a striking shade of blue at that. Plus the pockets, always the pockets. Keeping in the jumpsuit/pocket territory and Anna Chlumsky’s Veronica Beard outfit reminds me of the Hannibal bathroom location from season one (they’re not even that similar, but that’s where my brain jumped to). This is not a bad thing as those tiles are gorgeous as is this pattern. Another BAFTA/Variety double! Lizzy Caplan is wearing a bold chartreuse Cushnie et Ochs frock and works this difficult shade by pairing it with scarlet pumps. Sheer tends to cause a wrinkled nose effect and part of me would love to see this as a strapless gown. Switching things up and the Wes Gordon houndstooth pencil skirt and long sleeve crop top makes me think of a Virginia Johnson outfit shifted from 1956 to 2014. Paired with burgundy Christian Louboutin ‘Bootypump’ ankle boots – which I am now coveting – makes this a sophisticated and fun take on office to party chic. Emmy weekend also reminds me which shows I need to catch up on and Fargo is top of this list. 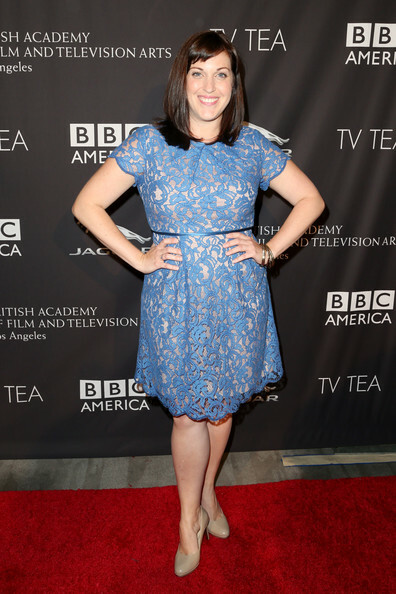 I’ve heard so much about Allison Tolman’s performance and she looks lovely on the BAFTA Tea red carpet in a lace blue frock. A more colorful shoe choice (basically anything but beige) would have been preferable. More beige shoe sadness with Rachelle Lefevre, however her dress is enough to distract and looks like the clothing version of sediment layers. This also doesn’t sound that great I realize, but trust me it is. 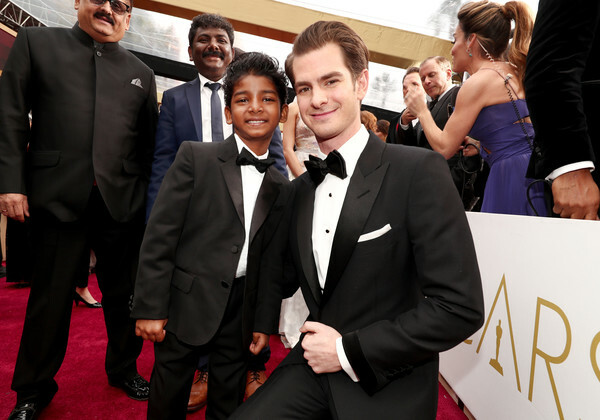 So much hair envy. Color blocking with a dotty twist and Michelle Monaghan’s red and orange J. Mendel frock is another striking take on this trend. Last weekend a whole host of stars attended the Veuve Clicquot Polo Classic and this means it’s time for sunglasses and super cute dresses. Olivia Munn is radiant in white lace Lover (not pictured, but Munn also had the most amazing Devi Kroell wooden clutch), as is Busy Philipps. 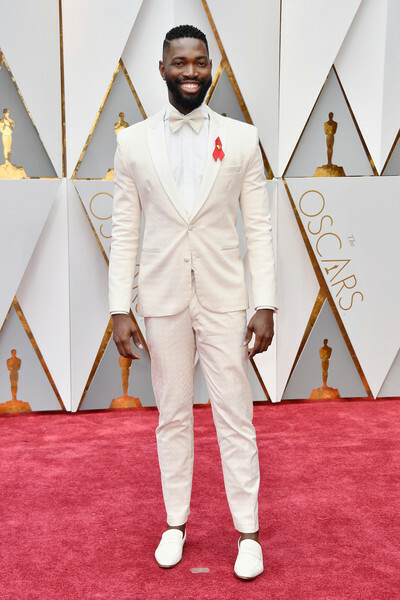 Both Lupita Nyong’o and Dakota Johnson work brimmed hats with black/white patterned frocks and Julianne Moore does the almost impossible and makes a jumpsuit appealing (by Rosie Assoulin, who also designed this Keri Russell dress). Only model Behati Prinsloo underwhelms in beige. 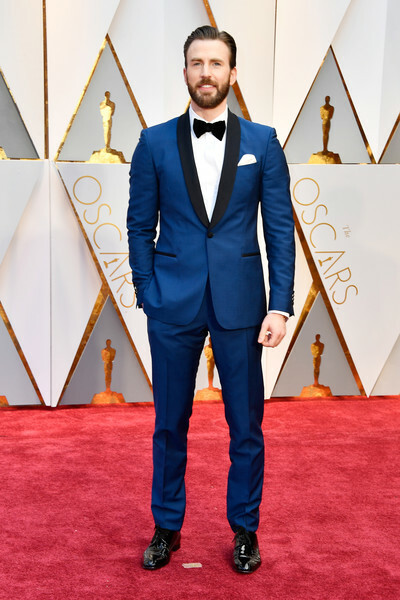 Aaron Paul holds court in the center looking very dapper in a summer suit. Switching things up with Lucy Liu in this gorgeous strapless Carolina Herrera gown at the 2014 Huading Film Awards. The gold geometric print is eye-catching starting small and intricate on the bodice, getting larger further down the skirt. 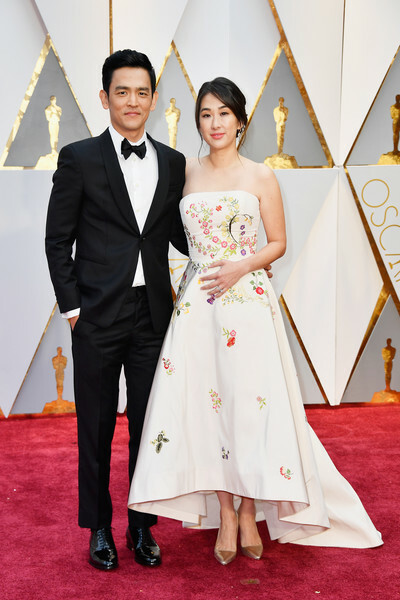 It is a silhouette that works incredibly well on Liu and it is a dramatic change from the looser fitting shift dresses she tends to wears on Elementary. Halt and Catch Fire premiered this week and I’m starting to think Girls/OITNB costume designer Jenn Rogien was right when she said at the recent Vulture festival that you end up dressing the year you were born, as recently I’ve been drawn to early ’80s style from The Americans and now Halt and Catch Fire which is set in 1983. 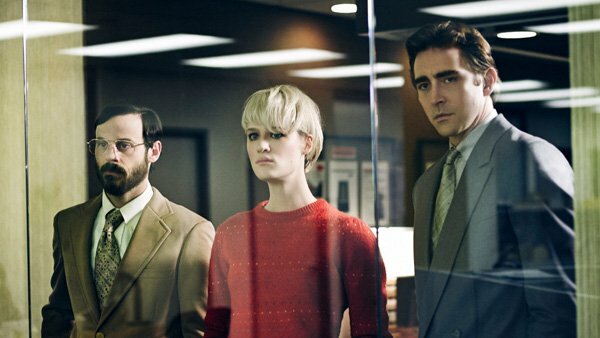 Mackenzie Davis plays Cameron and her red sweater is making a mark on my already extensive TV knitwear list and short hair looks amazing on Davis. She’s got an Agyness Deyn thing going on. Scoot McNairy is working the sadness beard like no other and Lee Pace is doing well with the mysterious/handsome all about his eyebrows look. Let’s hope this show can build on what I thought was a promising, but not quite fulfilled pilot (so like most pilots really). This shot of Brie Larson and Shailene Woodley comes from their New York magazine cover story this week and this shoot is giving off all the Simon & Garfunkel “Bookends” vibess (and this automatically makes me think of Almost Famous). Getting prepared to heave cry when The Fault in Our Stars comes out. Will be drinking plenty of water on that day if the book/trailer are anything to go by.